Marketers probably feel like they are constantly battling nameless, faceless robots that hold their content and their company’s or client’s fate in their steely, robot claws. I am referring, of course, to the search algorithm. It’s the complicated process by which Google, Bing, Facebook, Twitter, or any other site with search capabilities determines what’s worthy of your feed. Marketers often spend a lot of time and energy on content only to see it fall flat when it comes to actually making a difference of qualified leads or brand building due to it getting buried in the algorithm. Without giving away too many spoilers, SEO is NOT dead, it’s just changing. “Eyeballs to site. That’s what it’s all about,” Heseltine said in a phone interview. “It’s all about relevance.” That means crafting your content marketing efforts to fall into line with what the searchers want. Heseltine explained that it all goes back to search behavior. 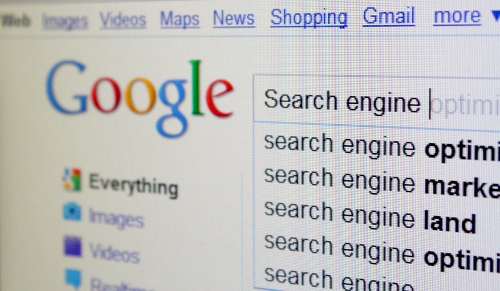 “When you’re searching for something, [search engines] want to return you relevant results. They know if they don’t give you a good result, you’ll go elsewhere,” explains Heseltine. That’s where the algorithm comes in. It sounds simple but it can get quite complicated; especially in a competitive marketplace. So how will you create content that winds up at the top of Google’s front page? Find out at AMA Hampton Roads’ luncheon on May 11, 2017!